Soon after the primary (baby) teeth begin to give way, the teeth a child will have the rest of their lives start erupting into the mouth. But while they’re permanent, they’re not as strong and developed as they will be in adulthood. That’s why we treat young permanent teeth differently from older adult teeth. 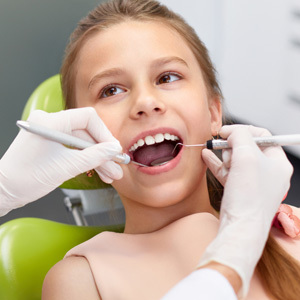 For example, a decayed adult tooth may need a root canal treatment; but this standard treatment would often be the wrong choice for a child’s tooth. The reason why involves the pulp, the innermost layer of a tooth, which plays a critical role in early development. Young permanent teeth continue to grow in sync with the jaws and facial structure. Most of this growth is in the dentin, the layer between the enamel and pulp, which increases proportionally to the other layers as the tooth matures. The pulp generates this new dentin. 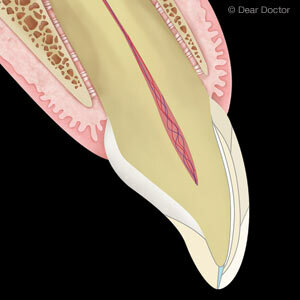 A root canal treatment completely removes the diseased tissue of the pulp. 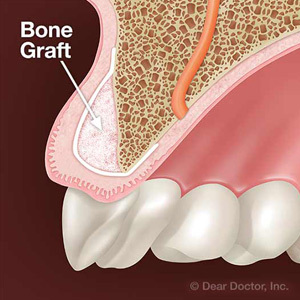 This isn’t a major issue for a mature tooth because it no longer needs to generate more dentin. But it can have long-term consequences for an immature tooth whose growth may become stunted and the roots not fully formed. The tooth may thus become brittle and darkened, and might eventually require removal. 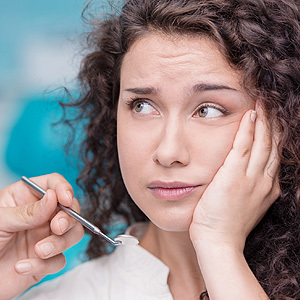 Because of these potential consequences, a root canal treatment is a last resort for a young permanent tooth. But there are modified alternatives, depending on the degree of pulp exposure or infection. For example, if the pulp is intact, we may be able to remove as much soft decayed dentin as we can, place an antibacterial agent and then fill the tooth to seal it without disturbing the pulp. If the pulp is partially affected, we can remove that part and place substances that encourage dentin growth and repair. Our main goal is to treat a young tooth with as little contact with the pulp as possible, so as not to diminish its capacity to generate new dentin. Avoiding a full root canal treatment if at all possible by using these and other techniques will help ensure the tooth continues to develop to full maturity.